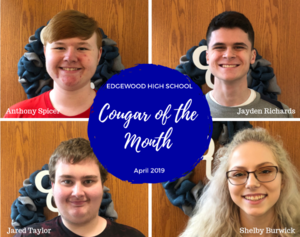 Congratulations to these EHS students who were selected as April's Cougar of the Month. This award is given to one student, within each grade, who shows: academic growth and improved in & out of the classroom. 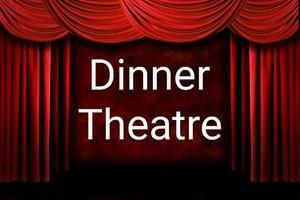 Great job Anthony Spicer (9th Grade), Jayden Richards (10th Grade), Jared Taylor (11th Grade) & Shelby Burwick (12th Grade). We're so proud of you! 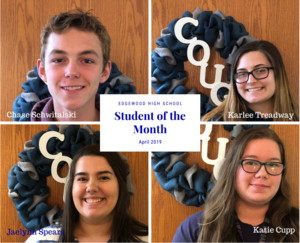 Our EHS Student of the Month winners are: Chase Schwitalski (9th Grade), Karlee Treadway (10th Grade), Jaelynn Spears (11th Grade), and Katie Cupp (12th Grade). This award is given to the student who is academically successful, helps others, involved in activities or sports in/ outside of school, has an excellent work ethic, and demonstrates many of our Cougar Character Traits: Kind, Accepting, Honest, Determined, and Brave. Congratulations to each of these students! 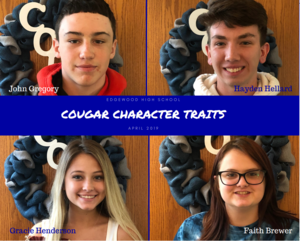 John Gregory (9th Grade), Hayden Hellard (10th Grade), Gracie Henderson (11th Grade) & Faith Brewer (12th Grade) were nominated for the Cougar Character Trait Award of the Month. These students were selected by EHS staff for going above & beyond our expected Character Traits behaviors, both in class and outside the classroom. Congrats to these Cougars! The Ohio high school football 74th annual North South Classic all-star game will be held on Saturday, April 27, 2019 in Massillon, Ohio at Washington High School’s Paul Brown Tiger Stadium. The North South Classic is contested between the top senior football players in the state as selected by the Ohio High School Football Coaches Association. Joining the South team from Edgewood is Evan Brown at DE, Wade Phillips at RB, and Coach Scott Clemmons. Two games will be played. The first at 12:00 p.m., featuring senior athletes from high school football divisions IV, V, VI, and VII. Edgewood will participate in the second game at 4:00 p.m.. It will features senior athletes from high school football divisions I, II, and III. 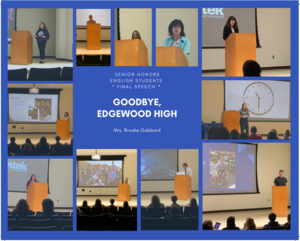 EHS senior Honors English students were challenged by Mrs. Gabbard to write & recite a speech to their classmates, teachers, & Edgewood High School. It was a farewell of sorts to high school. Students were challenged to reflect on their time & experience at EHS. This week, they delivered their incredibly emotional, thought-provoking, and memorable speeches as they said, "Goodbye, Edgewood High". Outstanding job by everyone! 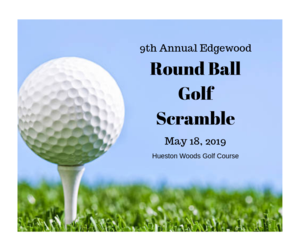 The Edgewood men’s and women’s basketball teams will be hosting the 9th annual golf scramble on Saturday, May 18, at Hueston Woods Golf Course. There will be an 8:30 a.m. "shotgun" start. Details about the scramble and the sign up form to participate can be found on the first page of the attached form. Butler County Sheriff Deputies and our SROs quickly responded to a call received this morning, April 18 (through the Butler County Sheriff Dispatch) about a parent who was in route to Edgewood High School. The caller stated the parent was bringing a knife and was reported to be unstable. Our SROs along with other BCS Deputies responded quickly and located the parent. No weapons were found and the individual was removed from school property. Everyone is safe at the high school. Students were already in class at 8:00 am and the building had been secured for the day. Currently, many of our students are taking the End of Course exam until 11:00 am. We will follow up with a text and phone call to everyone through our Blackboard notification system after 11:00 am this morning to ensure this message has been received by all our students, staff, and parents. We are grateful for the quick response by our SROs and the Butler County Sheriff Office and the consistent support and protection they provide to our students and staff. Butterflies were definitely the focus on April 16 at Babeck. 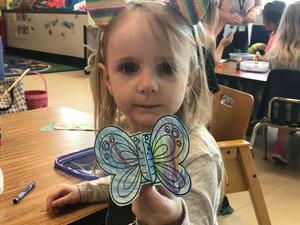 Mrs. Kim Jones, from the Trenton MidPointe Library came to share a special butterfly craft along with reading several books to our Preschoolers about butterflies. Her timing couldn’t have been better- 12 butterflies hatched from their cocoons! Thanks Mrs. Jones for making our day so special!